It’s that time of year again. As the birds are chirping, the daffodils and other flowers are making their way out of the ground, and the animals are scurrying about. The nature of things outdoors isn’t the only thing that changes this time of year. We all become a little restless. Tired of staying cooped up indoors. We want to take a long walk in the sun, begin working in the gardens preparing the soil, and we also feel the strong desire to declutter our space and our life. An old friend called recently saying he was spring cleaning. Not only was he cleaning up the house and yard, but he was clearing out the negativity in the rest of his life. I was inspired to ask him if that included people. He laughed saying it did. Negativity and disharmonious energies aren’t the only things that can bring you down or get you off track. 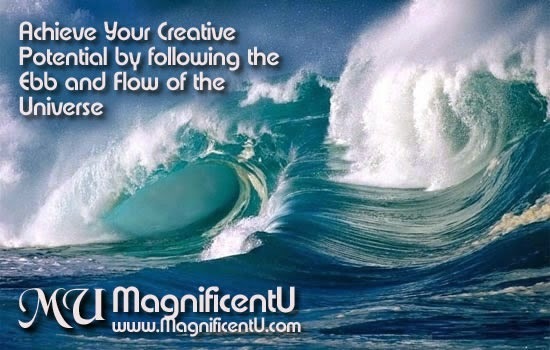 Being energetically connected, however subtly, can prevent you from truly being in flow and being who you really are. I used to teach a course called Manifesting Your Beloved. As you might imagine, it was extremely popular. It was not uncommon to have 50 or so people show up from only word of mouth advertising. It was long before I had an email newsletter and an online following. Anyway, one of the principles I taught in that course was the importance of clearing out ALL the old energy from previous relationships in order to make room for the new. I shared how I got rid of everything given to me by previous romantic partners – clothing, jewelry, and other gifts. I definitely recommend moving out of the house you shared. If you can’t afford that, then at the very least, get rid of the bed. Spaces have memory and carry the energetic signature of whatever has transpired in the space. Many people feel you should never live in any home but a new one. Feng Shui experts always look at who used a space previously – were they ill, did they have financial or legal problems, did their marriage dissolve? I moved into a home where the previous owners had gone through a traumatic divorce. Prior to living there, my relationship was wonderful. It began to degrade, my husband began having extramarital affairs, and we eventually divorced. Was the space the cause? I don’t think so. However, I do believe the space made for fertile ground for the discord in my marriage to grow. My relationship with my former husband, Raven, is fairly harmonious. We are both more concerned with our son’s wellbeing than wasting our time making the other person wrong. We have bumps in the road every now and then over something. But they are usually pretty quickly rectified. So it never occurred to me that being connected to him in any way was still affecting me energetically. The influence it had was so subtle I didn’t pick it up. If you know how aware I am of subtle energy, you’ll know how significant that is. At the same time, it is very hard for any of us to see ourselves and our own life. It is infinitely easier to observe others and see what’s obvious. He called recently and said our little cell phone arrangement needed to change. Even after divorce, we stayed on a shared family plan with our phones. Jess and I kept our New Mexico phone numbers. He also asked me how he could have someone else take over his website. I’ve been hosting and maintaining that as well. As soon I began looking at phones and carriers, I felt such a rush of freedom and soaring. WOW what a difference it made. Something I wasn’t even aware was affecting me, obviously was affecting me a lot. The new phones have arrived. And it all feels very good. I’ve been away from New Mexico for 4 years. I certainly don’t still need a phone number from there. I need a phone number from here – where I am in this moment. I shared with you this story so that you might find things in your own life where you are connected to a person or place from your past that no longer serves you. Time to get out the Daily Harmony Meditation and start clearing out the energetic debris in your life. When you take a dowsing class with me, I give you a much deeper and more thorough way to clear the energy. Magnificent Clearing Mist is also a nice choice. What about your body? What are you putting in the sacred vessel, the temple for your soul? Are you still drinking soft drinks or smoking? I can’t emphasize enough how important it is to let your body know that you believe it is a temple. Give it live, organic food whenever possible. Stop feeding it garbage that you know causes it to function at less than optimum. What do you wash you body, your clothes, and clean your home with? Are these things full of synthetic perfumes and toxic chemicals? Each of these things affect your overall vibration, ultimately resulting in your ease or dis-ease with flow. If the aroma of your perfume or the dryer sheets you use arrive before you do, its time to rethink those choices. I don’t use dryer sheets. I use the funny little balls with rubber points all over to fluff up the clothes and reduce static in the dryer. The laundry detergent is made of natural ingredients and is pH balanced. So are all the cleaning products that we use. As in all things, I recommend the 80/20 rules. I recommend that at least 80% of what you eat be truly healthy, nutrient rich, and healthy for your body. The other 20%, eat what brings you joy – even if its full of sugar or fat or some other thing you like, but is less beneficial for the body. I recommend that you follow the same principle for cleaning supplies, the people you hang out with, and the activities you do. Look at the benefit or detriment of everything – of course that’s EASY with dowsing the Dancing Dolphin Way – and follow the 80/20 rule, keeping 80% on the beneficial or highly beneficial side. How about the water you drink and shower with? Tap water just won’t do. Even well water isn’t as good as you might think. We filter the water in the shower and we haul big bottles to the store and get gallons and gallons of reverse osmosis water to drink. Sometimes we run out and I use water that has been filtered in one of those water pitcher filtration systems. I always have a headache the next day after drinking that water. Even though it is taking out much, it is not taking out nearly enough of the harmful chemicals in the tap water. Do you bless all the food that enters your mouth? How about your bottle of body lotion before you put it on? Raise the vibration of everything. Make each moment or morsel sacred. P.S. Please share with me in the comments how you physically and energetically clean and clear this time of year.